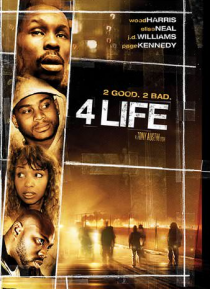 Dayvon (Wood Harris) is an accomplished street enforcer; his best friend, Ty (Page Kennedy) is incarcerated on a suspect charge. Together, they once ran the drug game in West Baltimore as leaders of the underground organization DFL (Dogs For Life). When Ty suspects that Dayvon, who wants to leave the DFL lifestyle, was involved in his incarceration, he plots a brutal revenge. Dayvon vows to stand … his ground and not give up without a fight.